Dr. Clare Fowler, M.D.R., and James C. Melamed, J.D. Dr. Clare Fowler, M.D.R., E.D. received her Master's of Dispute Resolution from The Straus Institute for Dispute Resolution at the Pepperdine University School of Law. 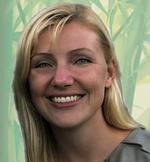 She finished her doctoral dissertation on designing dispute resolution systems that will sustain small businesses. Clare coordinated the career development program for the Straus Dispute Resolution Institute students. Clare also serves as Mediate.com's Managing Editor and Blog Editor and as Director of Program Relations for the world's leading online ADR Program Management System: Caseload Manager at www.caseloadmanager.com. 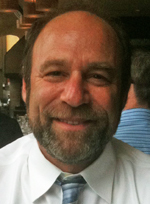 Jim Melamed, J.D., co-founded Mediate.com in 1996 and has served as CEO of Mediate.com ever since. Mediate.com received the American Bar Association's 2010 Institutional Problem Solver Award. Before Mediate.com, Jim founded The Mediation Center in Eugene, Oregon in 1983 and served as Executive Director of the Academy of Family Mediators (AFM) from 1987 to 1993. Jim was also the first President and Executive Director of the Oregon Mediation Association (1985-86). Jim has received the following awards: The Oregon Mediation Association's 2003 Award for Excellence; The Oregon State Bar's 2006 Sidney Lezak Award of Excellence; The Association for Conflict Resolution (ACR) 2007 John Haynes Distinguished Mediator Award; and The 2012 Academy of Professional Family Mediators (APFM) "Getting To Yes" Award. Jim's undergraduate degree is in in psychology from Stanford University and his law degree is from the University of Oregon.